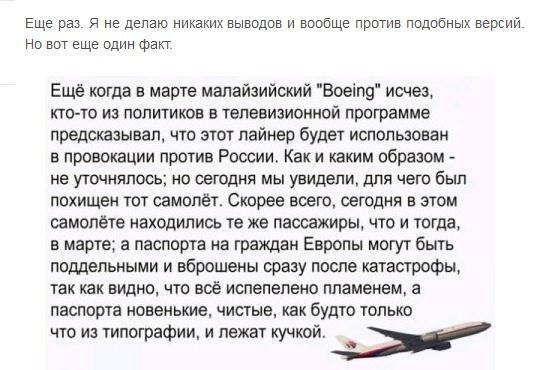 Why « Russian Pravda » obscures details of Malaysian Boeing crush? 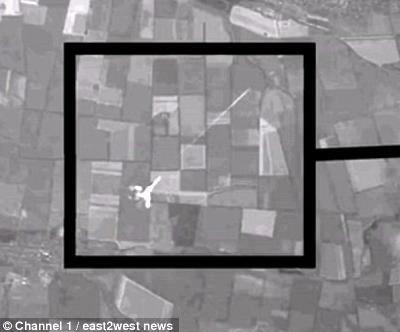 At the website „Foxtrotalpha” in English iwas published a pertinent critic of a « sensational » discovery, in USA, in middle of last October, of a satellite photo of an « Ukrainian jet » apparently firing a missile at Malaysian Boeing on July 17 . Its author, Tyler Rogoway (“a defense journalist and photographer”) wrote in it: This image, which appeared on the Russian TV Station ’1TV News’ website supposedly shows a Ukrainian SU-27 firing (they mistakenly call it a MiG-29) on MH17 as it flies over eastern Ukraine. The image is totally bogus and is an embarrassment to Russia’s quasi-state run media. Nevertheless this “bogus gift” from USA, was endorsed by the vice-president of the Association of Russian Engineers Ivan Andrejevskij, and later on by the director of Russia1 TV program “Однако” (‘However’) Michail Leontiev, and in particular by Jevgenij Schultz who claimed himself to be a “information war” warrior. 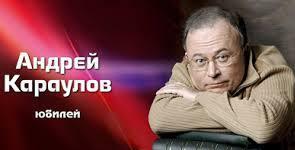 He has published at “rusvesna” (‘Russian spring’) website, a very aggressive text on this topic. 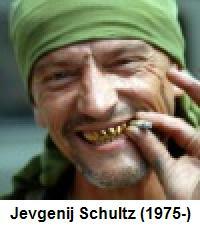 In its Резюме (Summary) Schultz wrote: “Не утверждая, что снимок подлинный, я утверждаю, что доказательства фейковости, которые сейчас тиражируются – это просто вранье” (‘I am not arguing that the photo is original, but I do claim that proofs of its falsity, which are given at present – are simply lies’.) According to Schultz, one of these lies consists of a calculation, done by a high school pupil, who used the Thales theorem to calculate the height of a “satellite” above the shadowy airplane on a picture above. This student put as a = 11,3 m (the spread of airplane wings), as b = 850 m (the length of a stretch of a forest covered by these wings), as c = 6000 m (the presumed height of a plane above the ground). And from the Thales proportion he got the h (the distance of satellite from the plane): h = a x c / (b – a) = 81 meters. It is a simple problem usually worked on in upper classes of a grammar school. The “information war” warrior Schultz loudly this calculus a lie, for “Sputnik makes photographs using an aggrandizing optics. And inside it paths of rays are very different. … I am not going to make calculations – a stupid man will not understand it anyway, while for bright men it is clear; with these stubborn ones I can do nothing – but it is evident that optical tools are made for a kind of close-up of a given object.” Such “full of divine authority” explanation looks promising. 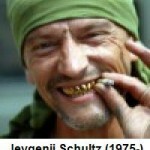 But “Schultz” (it is the “combat name” of Александр Евсин) tacitly assumes that this “optical close-up” is limited only to the silhouette of an airplane on the picture above, while it is valid in all field covered by the photograph: the landscape under the plane is “closed-up” too, in exactly the same degree. It means that the student, which calculated the distance of only 81 meters between “Su-27 plane” and the “American satellite” was trivially right. At the end of his “analytical” article Schultz reinforced his “information warrior” anti Thales assertion “In all cases you shall not believe these, which at present are lying that this photo is bogus (MG – see Tyler Rogoway above). There is no single proof that it is a forgery!” In my professional life I’ve worked – not only in Poland, but also in Denmark and in Switzerland – as an academic teacher in the domain of physics and geophysics. And it is for the first time I see such CHUTZPAH of an ORDINARY CROOK as this “Schultz”, who is trying to make idiots from all readers of his “information warrior” bull. 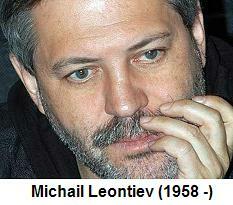 In all evidence he was, in some cases, successful in his CHUTZPAH, published at “Rusvesna” on 15.11.2014 – 15:29: four days later, on 19.11.2014 – 13:33 Schultz’s arguments repeated à la lettre Michail Leontiev, the director of “Однако” (‘However’) TV Russia 1 “analytical” program. And of course, at “rusvesna” (“Russian spring’) website there were multiple ironic commentaries to this “manifestation of intelligence*” of a prominent member of Russian New Bourgeois Establishment: “У него 2 жопы – нижняя и верхняя – Как у червя дождевого”. It means “He (Leontiev) has 2 arses – the lower one and the upper one – like in a rain-worm”; similar comments followed Schultz’s scientific analysis: “Have you seen photos of aircrafts done from a sputnik? They are comparable in size with objects on the ground. … Such big area is possible to cover only by photographing it from a satellite, and only by the method of making several photos. And moreover, this day (July 17) was clouded”. In all evidence “Something is rotten in the Kingdom of Russian Media” to paraphrase Shakespeare’s Hamlet. All this means that New Bourgeois Russia is indeed in a very sorry state having, at the top of its (DEZ)INFORMATION SYSTEM, intellectual arses not competent enough to judge the veracity of the Tales theorem. * The word “intelligence” is derived from Latin ‘inter-ligare’ – to bind-in-between, associate, similar phenomena; the word “intellectual”, albeit very similar, is derived from Latin ‘inter-legere’, and has more narrow meaning of ‘reading/discerning-in-between’, objects, texts, etc. Of interest is that etymologists usually are not discerning the difference between ‘intelligence’ and ‘intellect’. This subject will be developed in Part Two, for it belongs to a larger problem of a lack of clear distinction between living (re-active) and non living (non re-active) objects. 2. 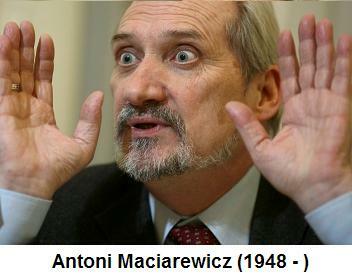 Examples of similar “scientific satires” from Poland Today. In case of the discussed above “troika” (Schultz, Leontiev, Maciarewicz) all these journalists-politicians were making strenuous efforts “not too see” trivial facts, which put in question their preferred versions of events. They are not isolated. Just at the very moment I completed these remarks on November 26 evening, at the website km.ru I discovered the lasting 1hr 20min Russian film titled “How Boeing was killed”, produced by a consortium “Pravda.ru” (‘Pravda’ means “truth”), and directed by Andrei Karaulov. a) Corpses found in Donbas were “not fresh” and partly rotten (on this film are shown only numerous black plastic bags filled with something). 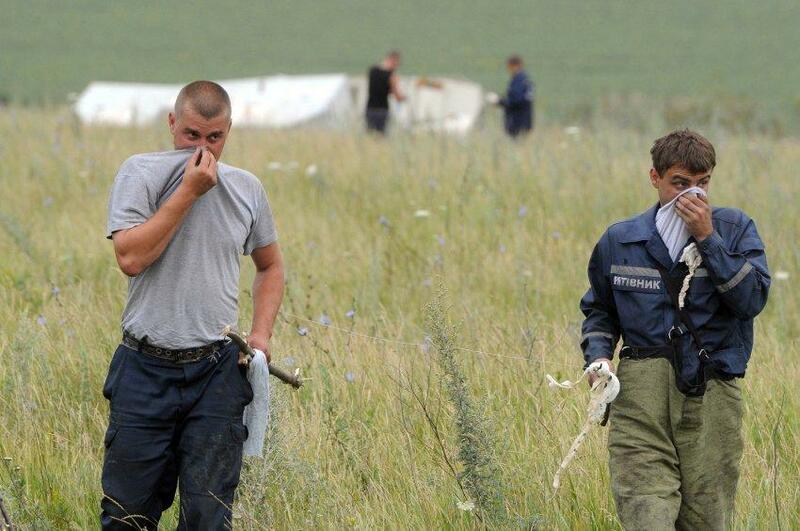 b) Jet engines found in Donbas were roughly two times smaller than engines of Boeing 777.
c) Remnants of a plane, which was found in Donbas were, prior to their fall, cut somewhere into relatively small pieces. 3. Does the “democratically elected” government of USA consists of MICROCEPHALIANS? 1/ On September 11 THREE WTC TOWERS (no 1, 2 and 7) collapsed, while they were hit by TWO PLANES only. Personal doubts who was the real organizer of 9-11 attack, arose very early (in my case, the next day). Among these who investigated in detail this gigantic TV show, was a friend of mine, dr. jur. Jan Zvalo from Ottawa, the author of a book (in Slovakian) “I ACCUSE – the Awful Disclosure of September 11, 2001”. The 82 years old at present Zvalo uses to say with an irony “The opinion about the official version of 9-11 events is a good IQ measure”. No doubt, not only the American, but also ALL DEMOCRATICALLY ELECTED GOVERNMENTS ON THE EARTH – with the notable exception of Venezuela, Malaysia an probably also Iran – will score very low on this Zvalo’s IQ test..
That’s exactly what the PNAC – the Project for American New Century is about. As summed it McMurtry: “A supernational sovereignty of an intellectual elite and world bankers is surely preferable to the national autodetermination practiced in past centuries.” The mentioned above M.C. Piper begins his booklet with a counter-demand “It’s time to declare war on the High Priests of War (for Global Unification)”. But how to proceed in this “war” on priesthood of PNAC? Certain engaged intellectuals took Piper’s demand à la lettre and already in 1993, the excellent UC Berkeley mathematician, Ted Kaczynski known as “Unabomber”, nearly succeeded in killing the ultra-Jewish David Gelertner, the author of “Americanism – the Fourth Great Western Religion”. His isolated actions have not made much harm to PNAC priesthood, and the “brilliant mathematician-murder” Kaczynski was condemned for imprisonment for life. In March 2000 I participated in a meeting, of organized by a former US General Attorney Ramsey Clark, International Tribunal on U.S./NATO War Crimes In Yugoslavia, in which country about 3 000 peaceful citizens perished under bombs . 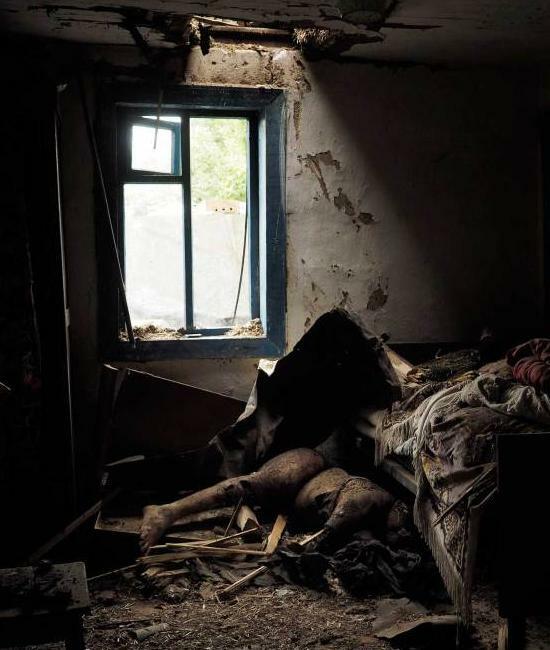 (In 1999 NATO had intensely bombed this tiny European country for whole 3 months; this in order to establish in Kosovo the rule of Albanian Mafia, and to install there the biggest in Europe American military Base Bondstill.) Our meeting in Belgrade of the Tribunal on NATO’s War Crimes was lead by Mikhail I. Kuznetzov, president of the Russian/Slavic War Crimes Tribunal against NATO. In his introductory speech Kuznietzov compared organizers of wild bombings of Yugoslavia to these antique Pharisees, “your father was a murderer from the beginning, not holding to the truth,( …) for he is a liar and the father of lies”. And what was the practical result of our efforts? The next year there was, (numerically resembling the biblical massacre, done by Jewish elite of Levites, of 3 thousands their “brothers and sons” worshipping Golden Calf under mount Sinai), the September 11 2001 annihilation of paying, by work, their tribute to Mammon, employees of WTC towers in New York. Thanks to this 9-11 “redemptory sacrifice”, the same ELITE, which organized bombings of Kosovo and Serbia, took the coat of Vengeful American Exceptionalists, and began to bomb Afghanistan. At that time these Vengeful Americans were admired by many: as I recalled it already, Vladimir Putin as a president of Russian Federation, facilitated at that time the acquisition of two subsequent US military bases situated at the “Asiatic underbelly” of Russia. So we witness a complete failure of our naïve efforts to “make war on high priests of war”. 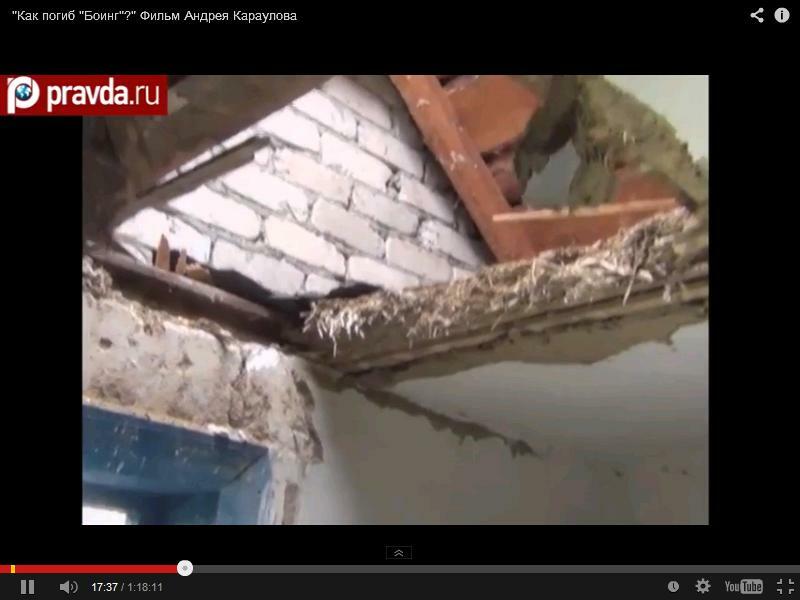 Towards the same end leads the present, very murderous, Slavs-against-Slavs civil war in Donbas. According to Wikipedia, Igor Strielkov, the removed at present from his post (by whom?) commander of Donieck People Republic militia “unreservedly demands that the “liberal clans” (liberal part of the Russian elite) be destroyed.” It means Strielkov is of he same ‘breed’ as Piper and McMurthy, who in the in Western hemisphere declared “war on intellectual supernational elite and world bankers”. Strielkov complains that militia in Donbas has no support from the official Kremlin, dominated by “liberal clans”. No wonder, these globalist “Russian clans” represent the same “breed” of super-men (and women) ruling both in USA and EU. The discussed by me at the beginning Russian film “Pravda about Boeing killing” film, as well as the Russian TV program “Odnako” probably realized the Kremlin’s wish to blame for Malaysia Boeing shooting solely the Ukrainian air force. This demand, to put in obscurity principal perpetrators of July 17 “crush”, was “accidentally” facilitated by a worker of MIT in Boston, who “discovered” the 3 months old (!) satellite photograph of missile shooting over Donbas. My INTELLIGENCE – it means my biological aptitude to bind together similar facts – is suggesting that all these “coincidences” are probably the result of a secret deal, last month, of Russian minister Sergei Lavrov with his American homologue John Kerry: Russia will “eradicate” the evidence that on steppes of Donbas were falling “not fresh cadavers of Asiatic origin”, and the Ukrainian Government will be hold as a scapegoat. In this astute manner the kept in secrecy “friendly alliance” of apparently hostile regimes of “democratic USA” and “conservative Russia” will be preserved. Recently I saw a video, demonstrating up to which extend the “friendly Russia” has helped US/NATO to be successful in lasting for 5 months bombings of Libyan Socialist Jamahirya in 2011. And in following these bombings robbery and devastation of this country. (For ex., a ship loaded with anti-aircraft armaments, which Kaddafi bought in Russia at the beginning of 2011, was ordered to return to Russia from the very port of Tripoli, 2 days prior to preparing the ground for NATO attack, UN initial sanctions against Libya.) 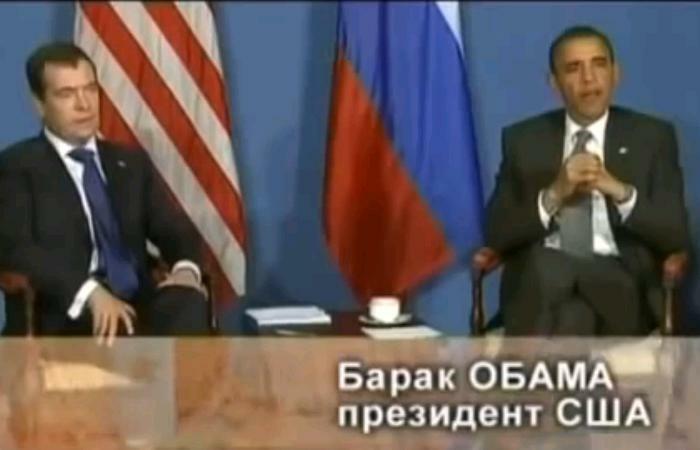 This video accuses the former Russian president Medvedev of acting against Russian national interests in Mediterranean. Nevertheless, once Vladimir Putin was (re)elected for presidency, the acting against Russian national interests Medvedev become the Prime Minister of Russia. Despite its “conservative” appearances (no gay manifestations are permitted) Russia seems to be ruled by people of the same ilk as USA and its vassal Europe. There is no doubt that such binary “DEMOCRATICO (USA) – CONSERVATIVE (FR) SYSTEM” is leading to the total CRETINIZATION of “post-modernist” humanity. For me, as for a retired academic teacher of physics, geophysics and finally philosophy, the basic question remains: will it be possible to COERCE this “intellectual supernational elite”, to accept basic notions of physics and logics? To accept imple natural sciences notions, which become totally abandoned, or perverted, by demoliberal regimes. 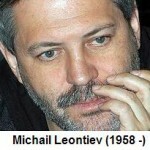 The given above example of Russian “media heroes” (in particular Schultz and Leontiev) unable to understand how the ordinary magnifying lens works, has its counterparts in USA too: at the website SHAMIREADERS produces himself, from time to time “Frank Scott”, an owner of a socially sensitive “legalienate” blog. This “Frank Scott” last year honestly admitted that he believes in the official American “pancake” version of WTC towers collapse. Why? Because he considers the Newton Law of Free Fall to be the physicists’ empty of real meaning mathematical construction, an invention intended for the purpose of oppression of “poor in spirit” people! (Really so, there was a discussion among shamireaders of this “revolutionary” F.S. understanding of Laws of Physics). I wiil try to demonstrate in it, using basic notions of physics and chemisty, why the dominated by the Judeo-Cult of WTC (Wealth-Technics-Money) HUMANITY SYSTEMATICALLY IS MUTATING INTO A NON-DIFFERENTIATED CANCER devastating the Planet Earth. Individuals representing the “Evgeni Schultz”, ‘Antoni Maciarewicz’ and “Frank Scott” type of LIBERAL EDUCATION, are kindly requested to abstain from reading it. Already in Antiquity the counter-democratic philosopher Plato has put the inscription « Entrance forbidden for ignorants of Mathematics » at the entrance of his Academy. This entry was posted in ENGLISH TEXTS, politics of globalism. Bookmark the permalink.